The Gear S2 is the best smartwatch out there right now, but it’s about to get better. Korean giant Samsung Electronics announced at CES 2016 this week that its newest, most beloved smartwatch, the Gear S2 will go “bling” in February – with the company unveiling two new models, one in 18K Rose Gold and one in Platinum. 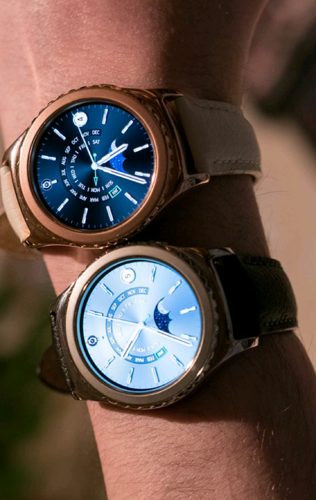 The 18K Rose Gold Gear S2 and Platinum Gear S2 will have the same internals and features of the original Gear S2, Gear S2 Classic, and Gear S2 3G models, but it will just feature a different outside look to match even more premium materials for those who just think the current Gear S2 models aren’t good enough. Alongside of the price hike (as there will definitely be one for both models), Samsung has said that it is bringing new watchfaces to these two new models. Anyone who buys them will definitely have the best of the best of the smartwatch market. 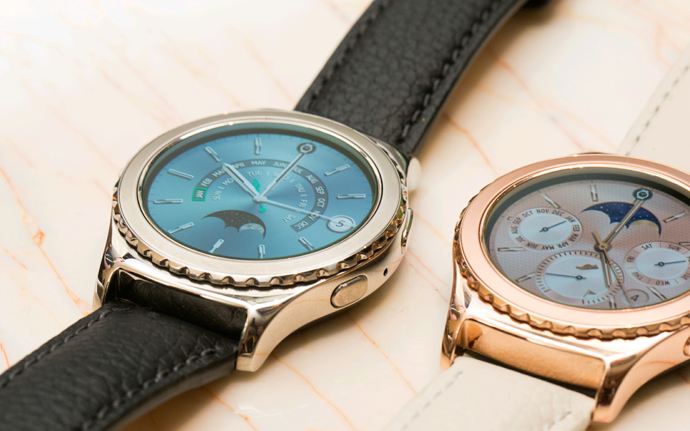 There has been no word on pricing details and availability, but Samsung did say that the 18K Rose Gold Gear S2 and Platinum Gear S2 models will go live next month, February 2016. Stay tuned to smartwatch.me as we keep you posted on what to expect from what will most definitely be the “eye-lookers” on the market in 2016.